Some Peek in the Stacks blog posts are authored by CSUN students who work in Special Collections and Archives in the Oviatt Library. This week's post was written by Adam Dennett, a student assistant in Digital Collections. Adam is a senior majoring in Information Systems. 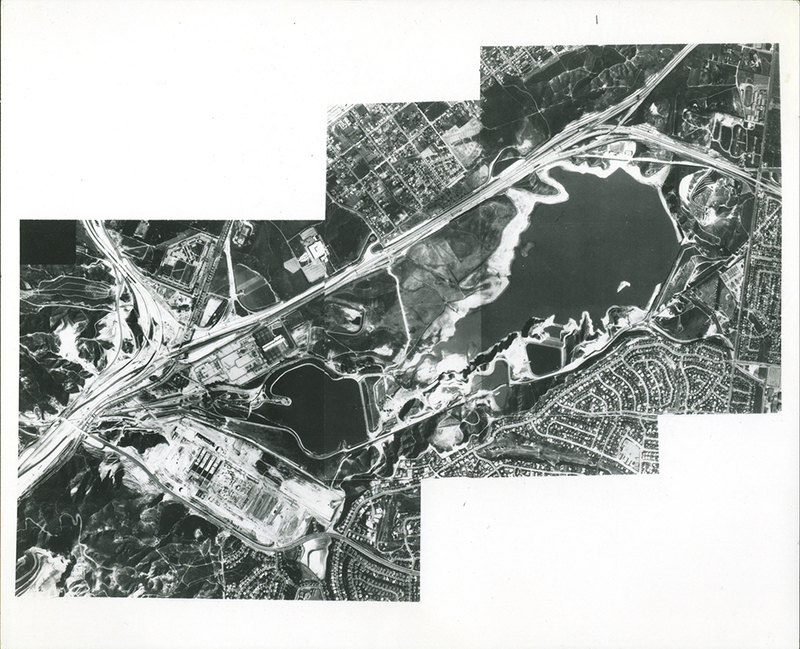 This week marks the 47th anniversary of the Sylmar Earthquake. 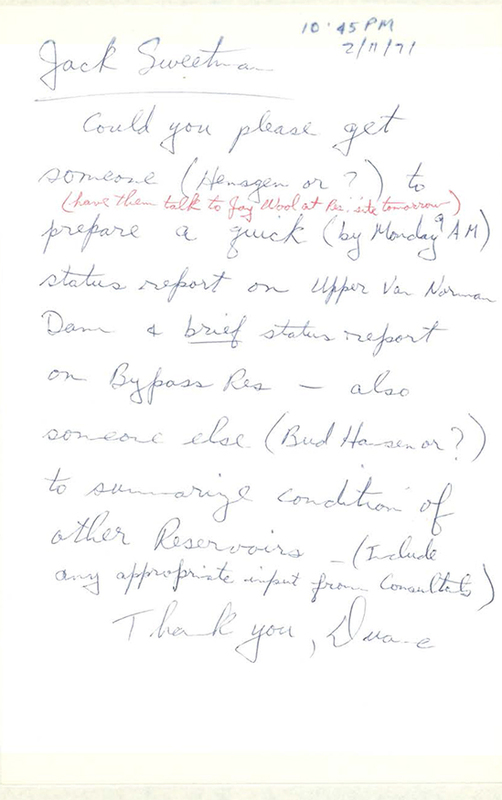 Many details of that difficult time are documented in the Duane Georgeson Papers, held in Special Collections and Archives. Duane Georgeson was a twelve-year veteran of the Los Angeles Department of Water and Power (LADWP) when he was appointed Engineer of Design in charge of the Water Engineering Design Division in January of 1971. 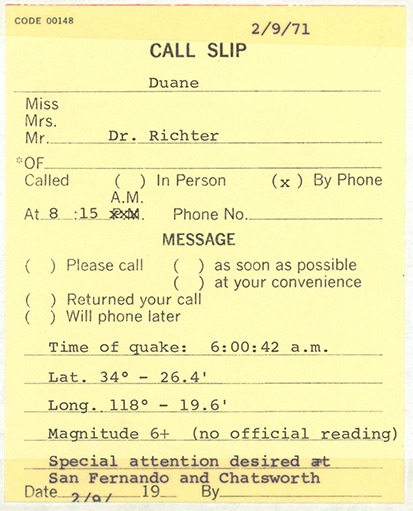 During the early morning hours of February 9, 1971, a 6.5 magnitude earthquake centered in the Sylmar area of the San Fernando Valley shook Los Angeles. 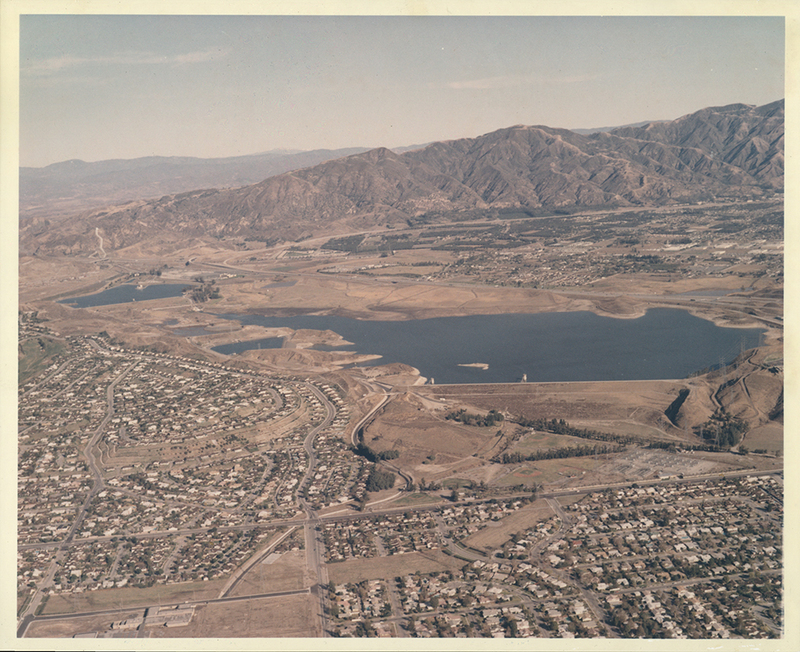 The Van Norman Dam, which at the time was the main water supply for the San Fernando Valley, was in its immediate path. Georgeson, having been at his new leadership position for only a month, was faced with a tremendous challenge that would ultimately define his career. Like most of the people in Los Angeles, Georgeson was at home asleep when the earthquake struck. He immediately awoke and headed out to LADWP headquarters in downtown Los Angeles. When he arrived at the office he was informed that the Van Norman Dam had collapsed. 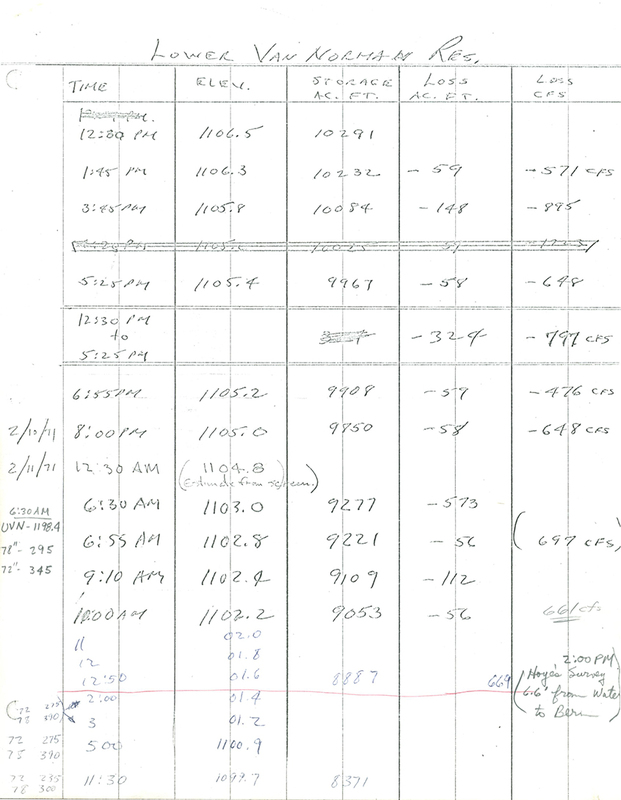 To confirm this report he sent his staff out to study the dam site and report back. Their findings were that the dam had partially collapsed. It still retained all of its water, but seepage levels were increasing and if something was not done soon the dam would fully collapse, endangering the lives of thousands of residents who lived below it. Georgeson quickly met with personnel from the California Department of Water Resources and executive managers of the water division, who recommended evacuation of the area below the Van Norman Dam while they started efforts to stabilize it. Georgeson and his staff came up with a plan to lower the water level by shutting off most of the water feeder to the dam and by pumping out as much water as possible. Due to pipe damage, internal drainage pumps were not functioning at full capacity, so Georgeson worked with the Army Corps of Engineers to lower the dam surface level by trying to get as many external pumps as possible activated. After three days of continuous pumping operations they were finally able to bring the Van Norman Dam water level below 1096 feet, and Georgeson was reassured that the dam no longer faced an immediate collapse risk. After three days of worry the evacuation orders were finally lifted and the families who lived below the Van Norman Dam finally returned to their homes. Georgeson persevered with a calm head, and was able to prevent a dam collapse the likes of which haven’t been seen in Southern California since the St. Francis Dam collapse in 1928. He would go onto greater roles in the Department of Water and Power and the Metropolitan Water District of Southern California, working to ensure that Southern Californians would always have a reliable supply of water. 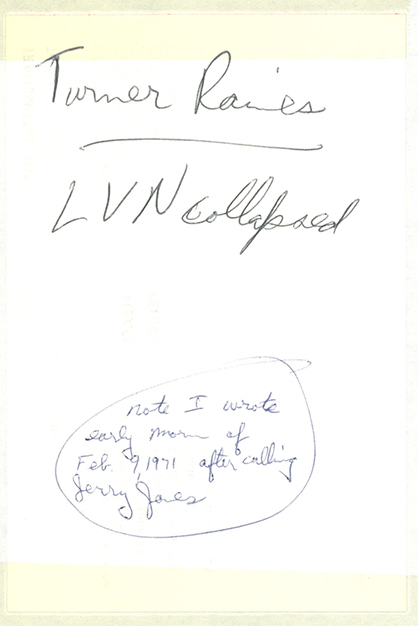 These documents from the Duane L. Georgeson Collection are among thousands of archival documents now being digitized and made accessible online as part of the multi-institutional project, "Digitizing Southern California Water Resources," made possible by generous support from the Council on Library and Information Resources Digitizing Hidden Collections program.